With Cozumel vacations, you get the best of both worlds. Visiting Cozumel is a wonderful way to enjoy a fantastic tropical Caribbean vacation while experiencing the warmth and hospitality of Mexico. Cozumel is a very popular destination for all types of vacations. Ideal for romantic honeymoons, Cozumel vacations are also perfect for the entire family because all ages will find something exciting to do on this enchanting Mexican island. 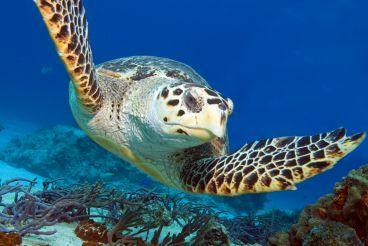 There are many things to do in Cozumel Mexico. Let's take a closer look at Cozumel vacations and why this exotic oasis is becoming one of the most sought after destinations on earth. Cozumel is situated just twelve majestic miles from the Yucatan peninsula of Mexico. The island has long been a cruise ship magnet, attracting tourists from around the globe. The pervasive beauty is extraordinary, with white sandy beaches and crystal clear waters as far as the eye can see. The climate of this Caribbean gem is magnificent year-round. The culture and wildlife is abundant, with tourist resorts and Mayan ruin sites. There are many exciting activities to make your Cozumel vacation one that you will never forget. Cozumel is a magical scuba diver's wonderland of epic proportions. The corral reefs are considered to be among the best on the planet, and the stunning environment is ideal for shore dives as well as wall dives. Underneath the turquoise sea is an enormous network of tunnels, caves, and arches. Vacationers can also enjoy underwater photography. Scuba diving classes are also available for those who want to learn how to dive. Certainly, there is no better place to learn than Cozumel. Snorkeling is also very popular, and the kaleidoscope of colors will do wonders for your imagination. There are so many amazing places to explore during a Cozumel vacation. The spectacular beaches are perhaps more frequently associated with Cozumel than the other areas on the island, but the jungles are full of majesty as well. In fact, much of the island is made up of these undeveloped jungles. These make great places to hike and explore. 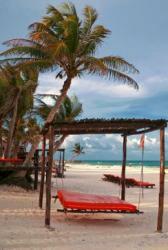 Vacationers can explore the exotic jungle outposts and the fabulous Mayan ruin sites. Chankanaab Nature Park is situated in a picturesque saltwater lagoon. Here visitors can enjoy a spectacular wildlife refuge, with an archeological treasure-trove of ancient carvings and statues. There is also a fantastic botanical garden. Traveling off the beaten path during your Cozumel vacation will enable visitors of all ages to enjoy the diverse riches of this incomparable Mexican island. San Miguel de Cozumel is the only town on the island. Yet it has many great restaurants and bars. This is a great little town to stroll around and shop. There are many fascinating boutique stores sure to have that perfect Cozumel vacation souvenir. San Miguel de Cozumel is mellow and hospitable, a wonderful place to relax. Cozumel is an ideal vacation spot for those wanting to experience the Caribbean at an affordable price. The low season during the summer is the best time to take advantage of reduced vacation prices, yet this is also the hurricane season. Cozumel is the largest island in Mexico, offering an eclectic selection of scenery and activities for people of all ages. Cozumel is one of the most popular cruise ship destinations on the face of the planet. Cozumel vacations are always filled with enchantment.